Whether it was the furor of the first few weeks of Occupy Wall Street or the popularity of the presenters, more than one hundred listeners packed the main gallery space of Art in General to hear a discussion on “what the neoliberal economy has imposed on artists,” according to one panelist, and on what the art world’s 99 percent can do to get ahead. Cosponsored by Silvershed, “Off the Clock: Working with Flexible Labor, Social Networks, and Everyday Life” allowed four panelists and a moderator to thrash out the intersections of art, labor, and community. The audience for the standing-room-only event was young and good looking, largely comprising people in their twenties and thirties. The panel addressed—but didn’t seem to latch too strongly on—what I feel are two main pillars of thought: fair trade and free trade, which I respectively define as demanding compensation for labor and developing a new attitude toward money, that is, payment is not necessary and everything should be free. Instead the participants described their work and how it related to the panel and spoke generally about inequities. The artist, writer, and educator Liam Gillick introduced the participants. The artist Lise Soskolne of Working Artists for a Greater Economy, or W.A.G.E., informed the crowd that her group will soon publish results from a recent survey of New York artists. She claimed that 60 percent of them did not get paid for their exhibitions from 2007 to 2010. W.A.G.E., Soskolne promised, will develop and disseminate a fee schedule and best practices soon. 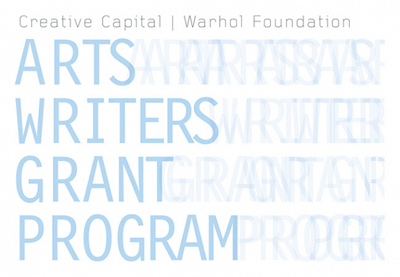 The group is working with Artists Space, which does pay its exhibiting artists, to open that nonprofit organization’s books and host additional panels, discussions, and think tanks. I really wish W.A.G.E. was more active—or that its website reflected a high level of activity, if that is indeed the case. Jackson Moore from the Public School New York briefly described his project, which holds classes but offers neither grades nor degrees. Teachers volunteer their time and knowledge, and students likewise do the same—sharing and learning are their own rewards. Moore’s summary was not particularly informative or enlightening. The curator Summer Guthery presented the most interesting project of the night, the Chrysler Series, which took place in the notoriously hard-to-get-into landmark building. She held regularly scheduled evening events in an emptied office on the thirty-first floor, which also allowed visitors to escape through a window onto a patio ledge from which you could actually touch the large metal radiator caps that decorate the building’s midsection. Guthery had no funding, but the experience was priceless—I should know, as I was lucky to attend the first event, for which an artist friend, Kevin Regan, contributed a piece. The Chrysler Series was exclusive by necessity: the restricted building and limited space allowed artists to invite only a couple guests each. Guthery observed that a mostly random mix of strangers— architects and filmmakers ascending the building in elevators with ornate inlaid wooden panels—were more successful than groups of her friends. For the events, Guthery enjoyed thinking small and looking closely, with a focus on practice, not products. Is this elitism? “I’m fine with a little snobbishness in art,” she conceded. Full of big words and strange terms, Gillick claimed that new practices need a coalition of workers. He is against the “privatization of general intellect,” but I’m not sure what “garbage operatives” are. Gillick favors projects that aren’t “leveraged on certain hierarchies of power” and is “looking for new geographies and new landscapes to occupy” to “make an educated gesture.” When he searches for alternative models or “conditions of being,” he unsurprisingly reaches for the established, popular theorists on his bookshelf. He should instead be thumbing through his record collection. Independent record labels that sprang up after punk—Dischord, Touch and Go, Drag City, and so on—provide several key success stories for making a living with integrity apart from a monolithic corporate industry, though I understand unsavory business practices among record producers, promoters, and venue owners were common in this sphere. Nevertheless, successful DIY models can be found far and wide, both in and outside the art and academic worlds. The fifth panelist, James Voorhies of Bureau for Open Culture, wondered about art education and schools. Moore responded vaguely and inarticulately, talking about lines on the CV and having your name attached to an institution. He believes it is okay to work for free, without specifying when, where, why, and how. Gillick is also trying to acknowledge this condition and to make it acceptable, in order “to elevate people as human beings.” This sounds good, and volunteering should be encouraged, in some but certainly not all cases. Moore proposed that the Public School is “an attempt to be posteconomic,” though he seems to favor dissolving intellectual-property rights through the scarcity of artists’ knowledge. (My notes seem to be as confusing as his words.) Marcus wondered if she would repeat the Dependent. I wonder if the Sheraton staff loved the crowds and noise enough to host the art fair again. I hope she does, because an annual event brings name-brand recognition. If done right a brand can also support a completely different event without falling prey to institutionalization. Guthery talked about her success with the Chrysler Series: people looked closer at the work, and no one left early. Most of us will never get the chance to be inside the Chrysler Building again. Even though the office architecture was oppressively inescapable, she said, the space was ideal for new ideas, which seems unlike a hotel art fair, which has a longer history. Guthery is a true DIY curator. In typical form, Gillick started talking about the gentrification of the Chrysler Building. Isn’t “occupation” the preferred term now? A panel has obviously succeeded when the ideas discussed make the audience’s heads spin so fast that they have trouble articulating intelligent questions. The first person to raise his hand and speak asked a dumb meaning-of-life question about “How do you find, and continually find, inspiration?” to keep doing what you’re doing, despite the long odds. Another attendee reiterated the claim that “art school is so expensive” with “no return unless you succeed,” but isn’t this true of many academic programs? Jobs are not guaranteed for anyone, and student debt is certainly not limited to MFA graduates. Gillick reminded the crowd that not everyone in twentieth-century art went to art school. Moore mumbled something about how artists should study outside their own disciplines. Someone asked Gillick how he does all sorts of jobs (artist, curator, speaker, writer, etc.) without getting into trouble. The artist attributed his promiscuity, which the British do not trust, to a “suburban lack” that an ironic, failed modernism did not fill. I wonder if this lack of specialization, or rather multiplicity of activities, reflects the difficulties of finding full-time, paying work. Gillick feels his approach is a threat and a challenge—but how much so if others who follow in his footsteps have a hard time getting paid for similar work? Someone else wanted to know if there was a unity to our demands. He wants a single artists’ union. Another said, “We’re not fighting for crumbs” and made a plea for unity. He or she blamed the 1970s, identity politics, and “nebulous, unclear space” for creating problems that a coalition could fix. Few would argue that the art world, comprising artists, dealers, collectors, critics and writers, curators, administrators, and more, has grown tremendously since the 1970s. It seems as if everyone involved can and should get paid. The audience’s ears and eyes are open and ready to converse—and the internet has helped further the dialogue. Gillick suggested people look up members of the NEA board over the years, to see who holds the purse strings. He also proposed that art education be compulsory, like military service. Soskolne said there are only so many places at the table for successful artists (i.e., those who earn their income directly from their art), so others work at nonprofits, which tends to bloat budgets that must pay staffers instead of funneling money to artists. Someone in the audience said it’s hard as an artist to show or publish without pay, because if you refuse an opportunity someone else will quickly nab it. Artists are replaceable. It’s going to take a while, it seems, for people to realize that the more artists say no, the more pressure and power they can exert. Silvershed has posted photographs of the event on its Flickr page.